Ventriloquist Brings Globe Theater to Life! Lincoln School was fortunate to have one of our very own parents and expert ventriloquist, Seema Golchha, perform in front of our Elementary School students and parents at our Friday Friday Morning Assembly this morning. Seema’s routine had her hilariously voicing both a puppy and a monkey, which had the audience in stitches. She then proceeded to bring a cartoon drawing to life and capped off the performance by having one of our teachers, Mr. Curtis, up on stage dancing and juggling. Our students were enthralled with the show and Lincoln School greatly appreciates Seema’s willingness to display her talents. JAKARTA, Indonesia. 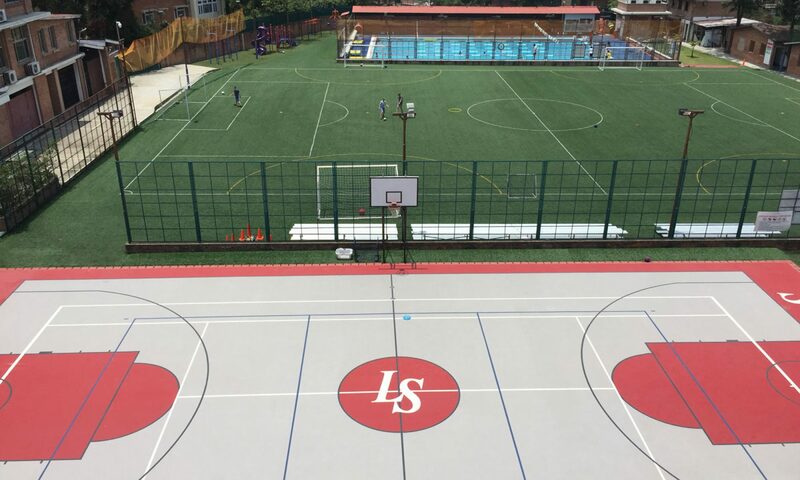 — Two Lincoln Snow Leopards – Anne M and Tisa S – represented their school and country, Nepal, with excellent performances at the 2018 Asian Games. Anne, a national Tennis player, competed in the mixed doubles competition and was pleased with her play during her first round match against Japan. 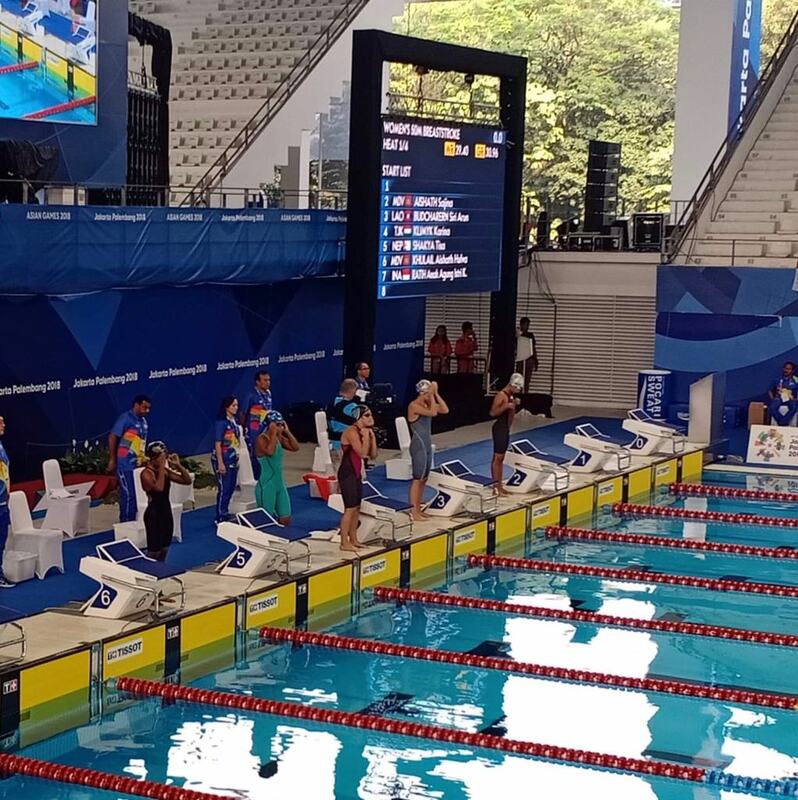 Tisa spent her time at the Aquatics centre and competed in the 50 and 100 meter freestyle events, as well as the 50 meter breaststroke. She swam a personal best time in the 100 freestyle and we are very proud of both our student-athletes’ efforts. Unmixing It Up in Grade Five! This week in science the students in Mr. Curtis’ grade 5 classroom conducted an investigation on separating mixtures. They were given a dry mixture of three (and one more secret) substances. They identified problems, engineered models, and carried out an investigation to come to conclusions on how mixtures and substances can be separated based on their properties! Audio Books in the Library! Long bus ride? Stuck in traffic? Pass the time by getting lost in a Playaway audiobook from the Lincoln School Library! Over 200 great titles to choose from for all ages! Hope to see you in the library! Pre-School and Pre-Kindergarten students enjoyed their first Aquatics classes of the of the year last week, with swimmers in “White” and “Red” caps working on water familiarization, including blowing bubbles, swimming torpedoes and glides, and doing some propulsion on their “speedboats” and “armchairs.” It is always fun to see so many smiling splashes in the water! The Grade 8 Exploratory class were (re)introduced to Health and Wellness this week, with the aim of creating a bulletin board that showcases the four dimensions of holistic health: Physical Health, Mental & Emotional Health, Social Health, and Intellectual Health. 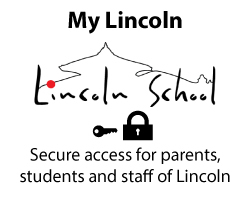 Students related these dimensions to the life of a Lincoln student, as well as recognizing possible risk factors and ways to ensure positive behaviors and decision-making. School is back and the MS Art students dove right in with some assistance from one of our seniors as they crafted their “masks” in Ms. Shaw’s Art room!